Age: 8+. Children younger than this can play with it but they don't have much chance of getting far with an actual game. Game length: Usually under a minute. 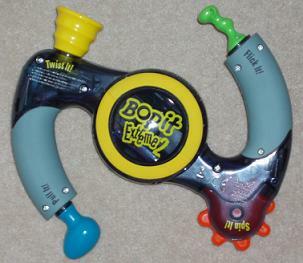 Gameplay: The Bop It device issues commands and the player(s) must obey them quickly or be eliminated. Available commands are twist it, pull it, spin it, flick it and bop it. These refer to specific levers and buttons on the device which have to be activated in the stated way. Different game modes cater for different numbers of players. 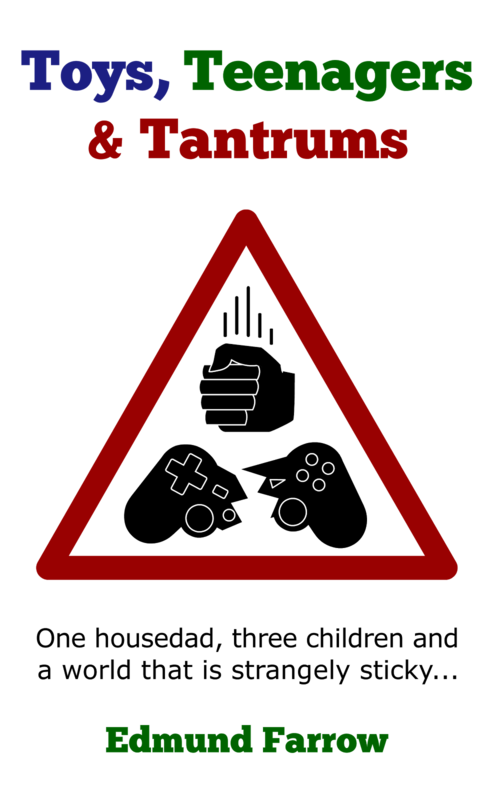 Solo players can compete for a high score. Two players can play simultaneously, both holding the Bop It at once and taking control of opposite levers. Two or more players can play a passing game where the Bop It demands to be handed to the next person in the circle at random intervals. 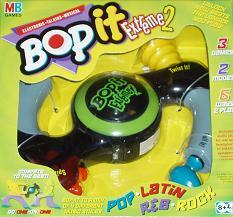 The Bop It can be set to issue sound effects rather than voice commands to add extra difficulty. Object: To survive a few games without throwing the Bop It against a wall in frustration and then stamping up and down on the pieces. It's noisy, frustrating and actually tells you when you're being a bit rubbish. In my case, this is pretty close to all the time because I can't seem to get a score much above 10. Often, I don't even get that. My boys (aged 7 and 9) aren't any better and my daughter (aged 5) loves the look of the thing but doesn't have a hope. Whenever she plays with it, it spends most of the time criticising her. Multiplayer games tend to be over almost instantly. If you really want, you can hook it up to a stereo but you're more likely to appreciate the low volume setting. If someone else is playing solo, you can insist they wear headphones. Conclusion: Might be fun if you have coordination and fast reflexes. Like Double P.E. if you don't.